1.Heat large covered saucepot of salted water to boiling over high heat. Add corn and cook 3 minutes or until corn is crisp-tender. Rinse corn with cold water; drain and cut kernels from cobs. 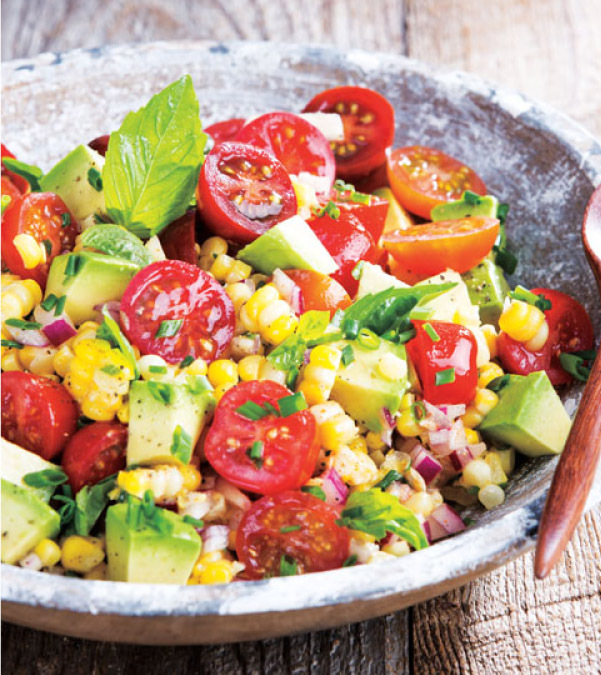 2.In large bowl, whisk together oil, lemon juice, mustard, red pepper, salt and black pepper; stir in tomatoes, onion, chives and corn. Fold in avocado and basil. Makes about 6 cups.